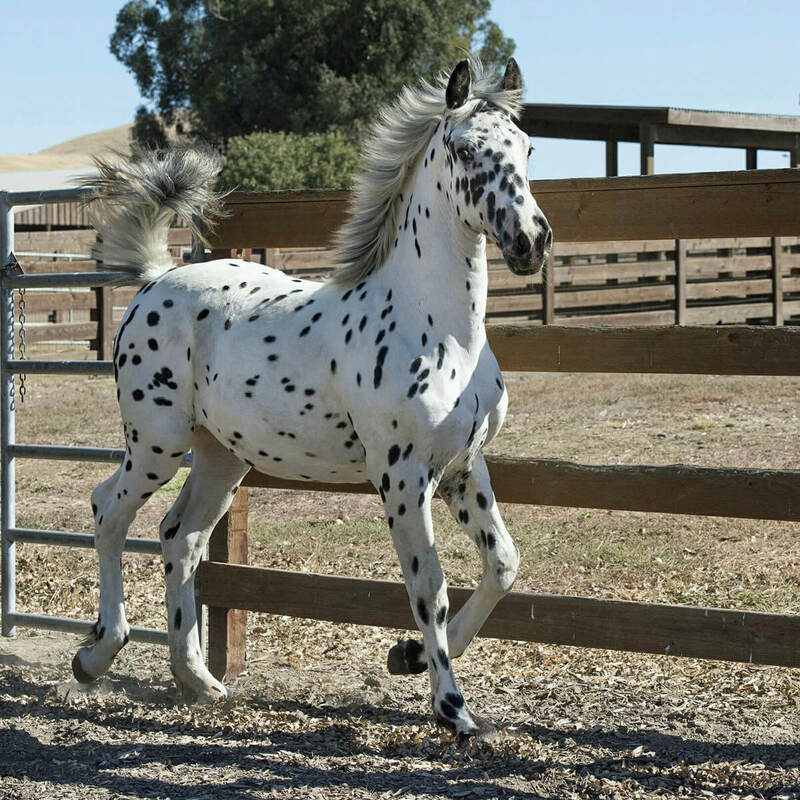 Black and white true leopard filly, foaled March 6, 2016. *Monte 378 (Sport) x Stonewall Fantasia by *Atlantis. A stunning filly with exceptional Friesian character, and a source of pride for a breeding program spanning more than fifty years. Montelena is owned by the Stonewall Trust and is being prepared to work for Access Adventure. She will also be shown in harness and under saddle.